The weather has been stormy and windy here on the New Jersey coast, with even more wind and rain to come tomorrow as a Nor'easter hits. It's terrible weather for being outside, so it makes preparing for Christmas indoors all the cozier. In addition to freshening the house and getting the decorating underway, I've been doing a lot of Christmassy things online. I've begun Christmas shopping in earnest and have several ideas already, and even ordered my first Christmas present yesterday--just a small thing, which I won't spoil here in case the recipient reads this! "It was a pretty sight, and a seasonable one, that met their eyes when they flung the door open. 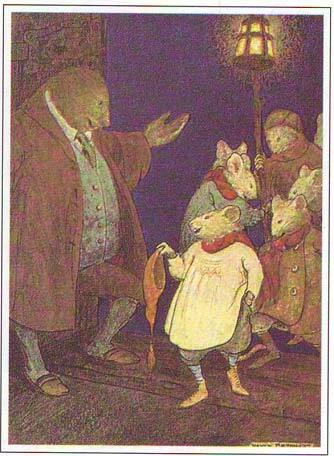 In the fore-court, lit by the dim rays of a horn lantern, some eight or ten little fieldmice stood in a semicircle, red worsted comforters round their throats, their fore-paws thrust deep into their pockets, their feet jigging for warmth. With bright beady eyes they glanced shyly at each other, sniggering a little, sniffing and applying coat-sleeves a good deal. As the door opened, one of the elder ones that carried the lantern was just saying, 'Now then, one, two, three!' and forthwith their shrill little voices uprose on the air, singing one of the old-time carols that their forefathers composed in fields that were fallow and held by frost, or when snow-bound in chimney corners, and handed down to be sung in the miry street to lamp-lit windows at Yule-time." If you like that kind of thing, be sure to follow Sparrow Tree Square on Tumblr this month! 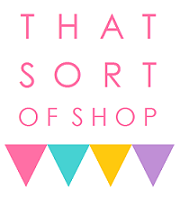 Also, a quick note about That Sort of Shop on Etsy: shipping is now included in the prices of my items, so there's no additional charge for shipping on any order! With the new pricing scheme, purchasers will save money whether they order one or more items--perhaps you'd like to take a look around the shop? Reading Kenneth Grahame at Christmastime has become a tradition for me, so I was delighted by the sneak peek of your Wind in the Willows post! I've been looking forward to doing this one since I planned out my Sparrow Tree Square posts for December. I actually couldn't decide whether to use the above quote or include the whole field-mice carol--maybe I'll do another post with that!